Tired of working hard to grow your business? Sandler Training is a world leader in innovative sales, management, and leadership training. We offer consulting, coaching, and training for individuals and organizations serious about professional development and growth. 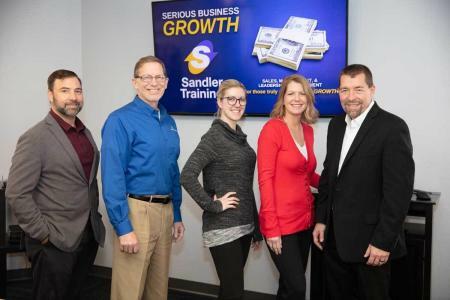 Sandler Training in Oklahoma City specializes in sales, management, and leadership development. What does that mean? Watch this video to find out. We'd love to have you as our guest for our open house! 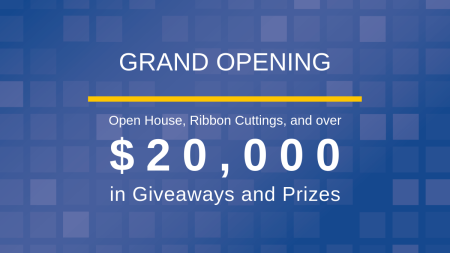 There will be networking, ribbon cuttings, and over $20,000 in giveaways and prizes! We're business growth experts. Whether you’re trying to generate a healthy pipeline, close more sales or are simply curious about what we do to make our clients more successful, get in touch. One of us will contact you to see if we can help. Thank you for introducing me to Sandler Training and for inviting me to become a member of the President's Club. In the few short months that I have been attending class and practicing the principles you have taught me, I have already seen results in terms of increased business for my company. Perhaps of equal importance is the positive impact this has had on my entire team. I make it a point after every class session to share the key points with my staff and to role play with them for practice - this has also been an opportunity for them to be involved in my personal development (and theirs). As someone with several decades of experience in business development across a number of industries, I am impressed that Sandler Training is teaching me a completely new and very effective way of discovering the needs of prospective clients and determining if my services are the right ones for them and if they could make the right business partner for me. I am better able to manage and apply the resources of my company to valid opportunities. I have also benefitted greatly from our "one on one" coaching sessions, helping me to better utilize my skills and to develop further in those areas where I am weaker than I should be. You have also helped me to identify developmental needs of my staff and as you know, I am enrolling two of them in Sandler Training as a result. Thanks again for all you do and for being such a great resource for us.